Addiction is a chronic, complex disorder “that is manifested by compulsive substance use despite harmful consequence. People with addiction have an intense focus on using a certain substance(s), such as alcohol or drugs, to the point that it takes over their life. They keep using alcohol or a drug even when they know it will cause problems” (American Psychiatric Association). Although being active in a drug or alcohol addiction may feel hopeless, drug addiction recovery is possible. At Royal Life Centers, we guide and support our guests through the stages of recovery to help them get their lives back. Drug rehabilitation at Royal Life Centers includes intensive therapies and other proven effective methods of addiction treatment. According to Recovery Connection, a resource for people in recovery, “Sometimes, the consequences that arise (legal, financial, medical or social) force the addict or alcoholic to stop using. However, in the absence of outside help, such as alcohol or drug detox followed by addiction treatment help, the substance abuse or addictive behavior is likely to return” (Recovery Connection). Breaking a cycle of addiction, which includes bad habits, requires action and maintenance. Keep in mind, these are 5 ways to break the addictive cycle, not 5 ways to stop an addiction. 1. Identify your problem behaviors. 2. Identify alternative healthy habits to replace the bad habits. 3. Attend therapy to explore the root of your bad habits and work through unresolved issues. You can’t defeat what you don’t understand. 4. Practice healthy habits consistently. 5. Make a routine out of practicing those healthy habits to maintain them. Things that will help you in breaking the cycle include: attending addiction treatment, awareness, a support network, a sense of accountability, a therapist, a strong relationship with your higher power, being active in a program of recovery, and of course, willingness. According to the Cambridge English Dictionary, a habit is a repeated action. A more in-depth look to this general definition of habit includes: “something that you do often and regularly, sometimes without knowing you are doing it”; “something annoying that someone often does”; and “a strong physical need to keep taking a particular drug” (Cambridge Academic Content Dictionary). According to research published by The European Journal of Social Psychology, forming or breaking a habit takes an average of 66 days. Take into account that this is just a finding concluded from research using participants who got results ranging from 18 to 254 days (Lally). There is no set number of days that it takes to break a habit, everyone’s experience is different. Setting a number of days when you’re “supposed” to have broken a habit is a surefire way to get frustrated and throw in the towel after not seeing results based upon your expectations. Keep in mind that an addictive cycle includes a range of bad habits, so breaking a cycle will require breaking each of the habits involved in the cycle. Some people are more habit-resistant than others, and some habits are harder to make than others. Healthy habits are just like any other habit, they require investment, effort, and routine. Basically, healthy habits will change your life and are worth whatever effort it takes to build them into a routine. Keep in mind that altering a habit can be equally as hard; for example, if you are in the habit of practicing yoga every Thursday, you may find it just as hard to switch that practice to a Friday compared to making the commitment in the first place. This is why making healthy habits requires thought put into the habit itself, and the circumstances around the habit. In a study published by The European Journal of Social Psychology, researchers concluded that the average amount of days to form a habit was 66 days. This was an average of a number of days ranging from 18 to 254 days (Lally). According to this study, missing one opportunity to practice the behavior did not derail the habit-forming process. So if you miss one day of a healthy habit, there is no need to lose hope in making that positive behavior a habit. 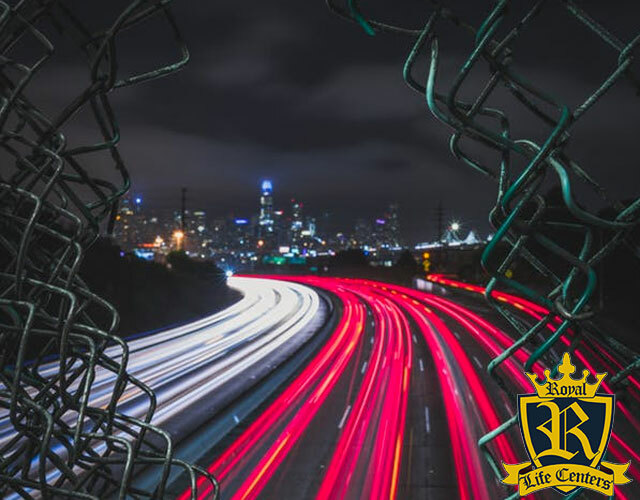 At Royal Life Centers, we provide comprehensive addiction treatment through intensive therapies and a range of services— we only use the best practices and proven effective methods of addiction treatment. Our treatment centers all hold national accreditations, recognized country-wide for providing the highest standards in the field of addiction treatment. We provide intensive therapies, including: individual therapy sessions, behavioral therapies, group therapy, adventure therapy, activity therapy, and equine therapy. Whether you are seeking recovery from alcohol, illicit drugs, prescription drugs, or another addiction, Royal Life Centers can help you. Royal Life Centers has treatment programs that are designed to guide and support guests through the stages of the recovery process. The recovery process starts with a medical detox, for the safe and comfortable detoxification of substances from the body. Our medical detox program offers superior care with 24/7 direct supervision from medical professionals and also provides intensive therapies to begin the recovery process. At our medical detox centers, guests will be assessed for their withdrawal symptoms and evaluated for any co-occuring mental health disorders upon arrival. The National Institute on Drug Abuse recognizes the importance of treating both aspects of a dual-diagnosis, or co-occuring disorders, and we agree— this is why we offer individualized treatment to ensure that each guest reaches their personal needs and goals. Our rehab programs are available at both inpatient and outpatient treatment levels of care. Our experience in treating substance use disorders makes our highly-trained staff the perfect resource in deciding what type of treatment is ideal for you. Royal Life Centers offers addiction treatment programs, including: medical detox, a residential inpatient program, a partial hospitalization program (PHP), an intensive outpatient program (IOP), an outpatient program (OP), sober living and graduate housing. Substance abuse is the cause of an alarming number of deaths in the United States, which is why seeking treatment for your addiction will save your life. Royal Life Centers is here to guide and support you in making life-changing decisions. American Psychiatric Association. “What Is Addiction?” Edited by Ranna Parekh, American Psychiatric Association, APA, www.psychiatry.org/patients-families/addiction/what-is-addiction. Cambridge Academic Content Dictionary. “HABIT | Definition in the Cambridge English Dictionary.” Cambridge English Dictionary, Cambridge University Press, dictionary.cambridge.org/us/dictionary/english/habit. “How Long Does It Really Take to Break a Habit?” Blackmores, Blackmores Australia, 29 Apr. 2015, www.blackmores.com.au/everyday-health/how-long-does-it-really-take-to-break-a-habit. RecoveryConnection. “Explaining the Cycle of Addiction.” Recovery Connection, Lakeview Health, 30 Oct. 2018, www.recoveryconnection.com/cycle-addiction/. Rubin, Gretchen. “Stop Expecting to Change Your Habit in 21 Days.” Psychology Today, Sussex Publishers, 21 Oct. 2009, www.psychologytoday.com/us/blog/the-happiness-project/200910/stop-expecting-change-your-habit-in-21-days. If you are struggling with an addiction, or a loved one is showing signs and symptoms of an addiction, please don’t hesitate in reaching out to our addiction specialists. Our team of addiction specialists are available to take your call 24 hours a day, 7 days a week, at (877)-RECOVERY or (877)-732-6837. Because We Care.